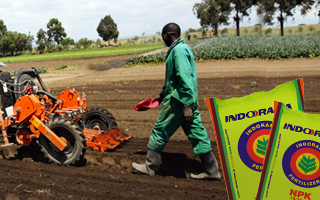 Fertilisers, undoubtedly are at the forefront of modern day agricultural revolutions. They are also key to securing the food need of a country as no country in modern times have been able to increase agricultural productivity without expanding the use of chemical industry. The emergence of Indorama Eleme Petrochemicals Limited (IEPL), Port Harcourt through the nation’s privatisation programme in 2006 and the commissioning of its world-class fertilizer plant in 2016 have fueled tremendous socio-economic activities in Nigeria, especially in the industrial and agricultural sectors. Indorama’s fertilizer plant in Port Harcourt with capacity for 1.5 million metric tons of granular Urea is the world’s largest single-line Urea facility. Right from August 2006, IEPL has been supplying highly needed petrochemicals – polyethylene, polypropylene and PET (also called polymer resins), of different grades and variants to over 450 Nigerian companies spread all over the country. These companies use Indorama resins to manufacture items such as water tanks; automobile dashboards, bumpers and fenders; helmets, waste disposal bins, carpets, artificial hairs, containers for healthcare products, bottles for water and beverages, plastic chairs and tables, sacks, shopping bags, industrial pipes, bread wrappers and other packaging products used in the beverage, bottling, pharmaceuticals, paints, textiles and allied industries. 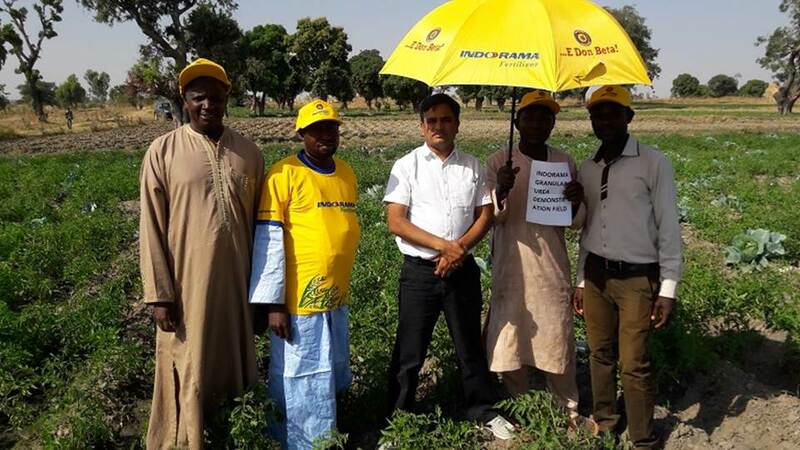 In the area of fertilizers, Indorama Eleme Fertilizer and Chemicals Limited (IEFCL) has become Nigeria’s prime fertilizer solutions provider through supplies of its granular Urea to over 20 million farmers across all the states and Abuja, as well as giving free agronomy extension services and training to the farmers. After satisfying all local demands for fertilizer, surplus production will be exported to earn foreign exchange for the country. 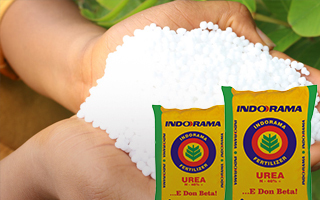 Users of Indorama’s Urea fertilizer and its petrochemical products as raw materials create huge employment opportunities for Nigerians — directly and indirectly. The multiplier effect on the economy is formidable. It is not surprising why experts believe strongly that, indeed, Indorama is fueling socio-economic growth in Nigeria! Economically, a well-managed farm is one that consistently makes greater profits than similarly structured, neighbouring farms. Because random, localized events such as weather often mask differences or similarities in management, it is important to observe differences in profits that persist over time—those which statistically differ. 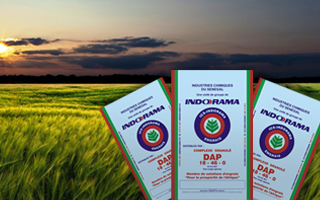 Indorama Agronomic Services make things grow, with fertilizers and high-efficiency plant nutrient technology advisories grounded in science. By examining and understanding the science that affects crops, they create technologies that can optimize our customers/farmers’ fertilizer investments, portal is a one-stop crop management information resource for the farmers. Agronomic Services provides detailed content on crops, crop management techniques, fertilizers & pesticides and a host of other agriculture related material. Generic information enriches Farmers with common topics on agriculture like Soils, Seeds, Nutrients, Fertilizers, and best management practices for optimum crop production and profits. Our team of expert agronomists, working together with universities and government researchers, are committed to developing and delivering Agronomic services our customers can trust, help in problem solving mechanisms in the farmer’s own situation based on the reality that considerable number of farmers has limited Agronomic information e.g. Knowledge in the form of crop management, pest management, water management, soil management, implements, agricultural advancement etc. Corporate Social Responsibility (CSR) In IEFCL. The era of corporate organizations paying lip service to social responsibility is fast coming to an end. The recent past has seen corporate social responsibility becoming a process from a concept and also organizations deriving value from this initiative. Alongside of the Group Company Indorama Eleme Petrochemicals Limited, IEFCL has implemented several CSR projects and has also signed an MOU with the hose communities on the investments in such projects. Indorama has contributed remarkably to the wellbeing of its host communities in Rivers State through numerous community development projects and corporate social responsibility (CSR) initiatives including enjoying the dividends of their 7.5% shares of the company. In 2012, the company built and commissioned a new PET plant, the only one in sub-Saharan Africa. They also commenced construction of a new fertilizer plant in 2013; alongside two other complementary projects – an 84-kilometre gas pipeline and a port terminal at Onne Port in Port Harcourt. These three projects were all completed on schedule. Indorama Corporation has invested about $3.5 billion in Nigeria since they became core investors in Eleme Petrochemicals in 2006. In the near future, we will also be investing in Methanol and NGL plants, and by 2019, they would have invested about a total of $4.7 billion to realize their vision of building the largest petrochemicals hub of Africa in Nigeria. The project is constructed in the 400-acre Eleme industrial complex, which already includes olefins, butane, and polyethylene and polypropylene plants. It is well-equipped with facilities such as a captive power plant, an effluent treatment plant, storage facilities, bagging systems and warehouses. The complex also has a PET plant, which was commissioned in July 2012. "Construction of the fertiliser methanol plants is part of Indorama’s aim to create the largest petrochemicals hub in the country." Indorama’s new facility at the complex is a gas-to-urea-based plant. It produces urea from natural gas feedstock using KBR’s purifier technology. The project included the construction of a 2,300 metric tonnes per day (mtpd) ammonia plant and a 4,000mtpd urea plant. Feedstock is supplied by the Nigerian Azienda Generale Italiana Petroli (Agip) pipeline company through an 84km-long pipeline with a diameter of 35cm. The project also included the construction of a multipurpose jetty at Onne Port, which is located 16km away from the project site. Up to 70% of the fertilisers produced at the plant are transported to the jetty for export markets, while the remaining are filled in 50kg bags and sold within the domestic market. KBR’s purifier process system includes a feed / effluent exchanger and a column, including a condenser and an expander. The technology has very low-energy consumption and produces high-purity synthesis gas, from which ammonia can be extracted. Impurities from the synthesis gas are separated by washing it with excess nitrogen. The new facility provides urea at an affordable price to the domestic market in Nigeria. It employs approximately 3,800 people during the construction period. It also generates 250 direct and 348 indirect jobs after completion. Production from the new plant allows the country to reduce its reliance on urea imports and helps Nigeria become self-sufficient. The plant also exports the surplus to various countries, including Brazil, Ghana, India, South Africa, the UK and the US. The total estimated investment on the project was $1.2bn. In February 2013, IEFCL signed a long-term financing agreement for $800m with commercial banks and 16 global developmental financial organisations to construct the plant. International Finance Corporation (IFC) provided $375m in financing to support the project. IEFCL received a $100m loan from the African Development Bank (AfDB) in January 2013 for the construction and operation of the new plants.